Laura has just passed a new milestone: four years of working at Fluido. Her first role in the company was as an administrative assistant, but in addition to doing everything in the office, she was also organizing events and helping with digital marketing. Over time, Laura’s focus began to move more and more toward marketing and marketing automation. When Fluido took Salesforce Pardot (a B2B marketing software) into use, Laura worked on the implementation together with Fluido’s consultants. This was a pivotal experience: it made her realize that she wanted more of this! She wanted to focus on marketing automation to help other companies find the best way to use the system and learn more about their own marketing methods in the process. Before joining Fluido, Laura was studying a master’s degree in economics and working in customer service. She had dabbled in marketing-related tasks before, but at that time it didn’t really have her focus yet. Laura feels like she found her path while working at Fluido. As her role was so flexible, she could explore different tasks and discover her own preferences. Laura felt happy to be supported as her role shifted — and also relieved that she did not have to change workplace to follow her career passion. The things that Laura loves most about Fluido are the amazing colleagues, atmosphere, and company culture. She feels like everyone here is similar in some way, making it easy to ‘click’ and communicate with colleagues on a daily basis. The atmosphere motivates her in day-to-day work: she finds it encouraging to be surrounded by people who support one another, who are ready to listen, and who are not afraid to ask for help. When Laura was starting as a consultant a year ago, many people helped her, and now she feels that she finally has the expertise to help others. Being able to help people — guide them, and find ways to make their lives easier — is a rewarding feeling for Laura, and an important part of what she wanted in her career. Over the past four years, Laura has worked with Fluidians from all the offices and organized events in all countries where the company is present. Currently, as a business consultant, she works mostly with projects in Finland, Sweden, and Norway, as well as helping out her colleagues in other countries from time to time. She is working with customers on a daily basis, and also involved in sales processes for new marketing automation projects. 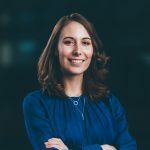 Her tasks include implementations, delivering workshops, managing customers’ projects, and developing the use of Pardot. She is focused on utilizing Salesforce Sales Cloud more and more, to make sure customers get the full benefit of those two systems working together seamlessly. Laura still remembers her first project with her first customer: in a way, she considers it to be the best. She still works with that customer and develops new solutions for them, and she remembers learning a lot from their first project together. It was exciting for Laura to complete that project to her satisfaction, with the support of her colleagues. When she’s not working on Fluido projects, Laura likes travelling and sports. She also loves nature: picking berries, walking, and being in the forest. One sport she practices is fitness boxing — Laura finds it effective in releasing stress, and it’s great exercise.